Our guesthouse Blue Reef Bungalows is situated directly at the stunning white sandy beach in the village of Jambiani. 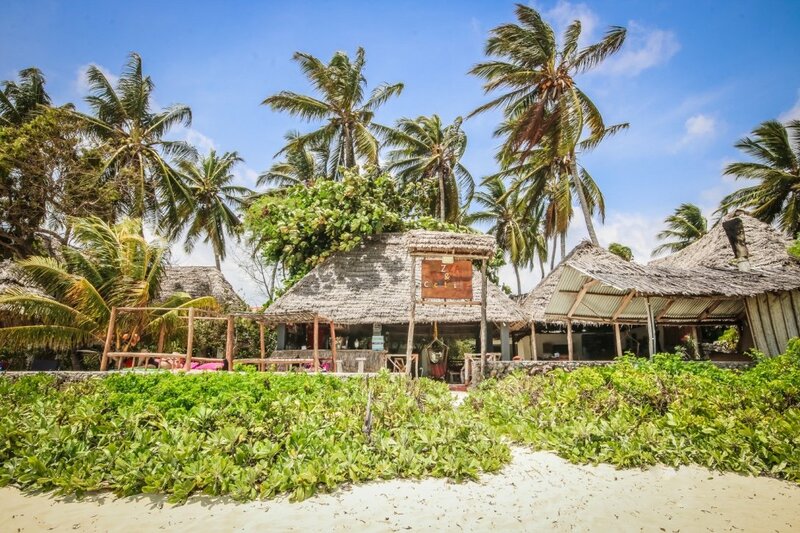 It is a small and cosy guesthouse with only 5 bungalows. 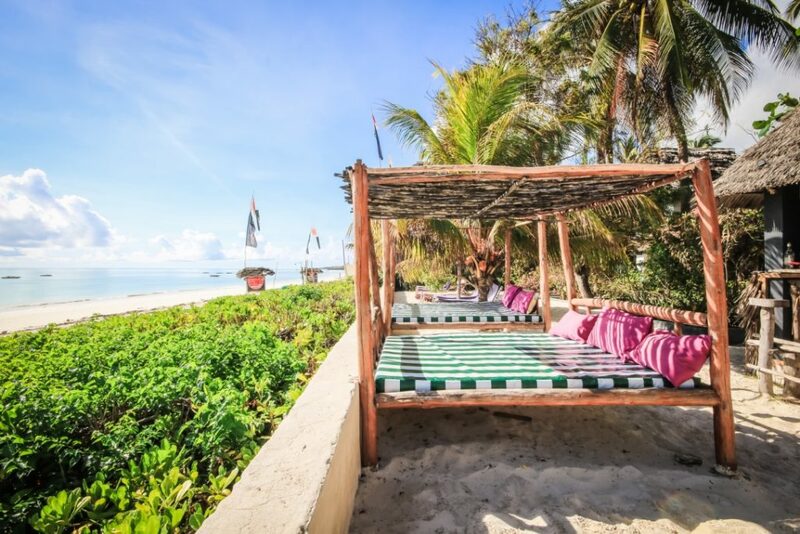 Our garden is shady surrounded by palmtrees and offers an amazing view at the crystal clear turquoise water from the Indian ocean. 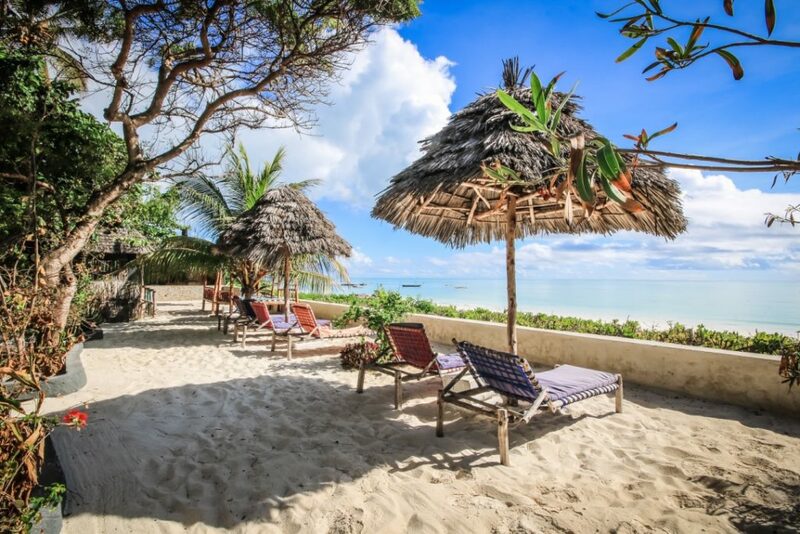 Jambiani is a small authentic fishing village on the south east coast of Zanzibar and far away from the mass-tourism and big resorts in the north. It’s only 55 km away from the capital Stone Town and the airport. We are integrated into the village, so this means you will also experience the local life on the island. During the day children will play at the beach, villagers are fishing or maintaining their boat and during low tide women are collecting seaweed. 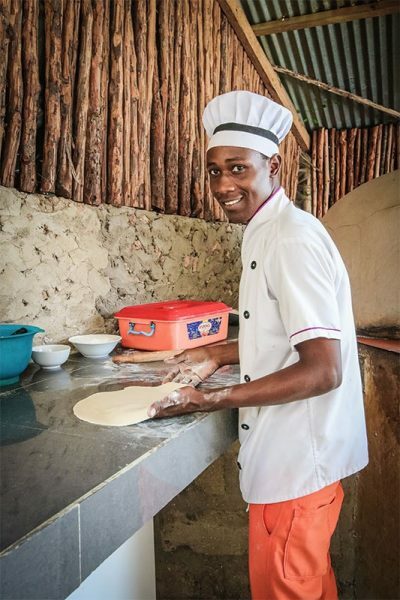 Blue Reef Bungalows has a traditional outdoor pizza oven and we serve delicious pizza’s during lunch and dinner. For “seafood”, salads and for more extended menu options you are very welcome at the Lodge. What do guests say about Blue Reef? 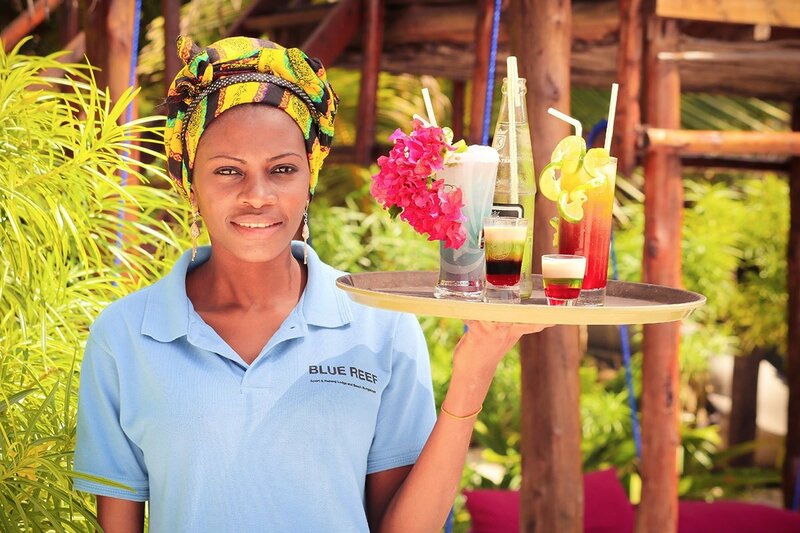 “11 nights of fantastic hospitality at Blue Reef. Very decent facilities, hygienic and superb catering plus extremely friendly and reliable staff. 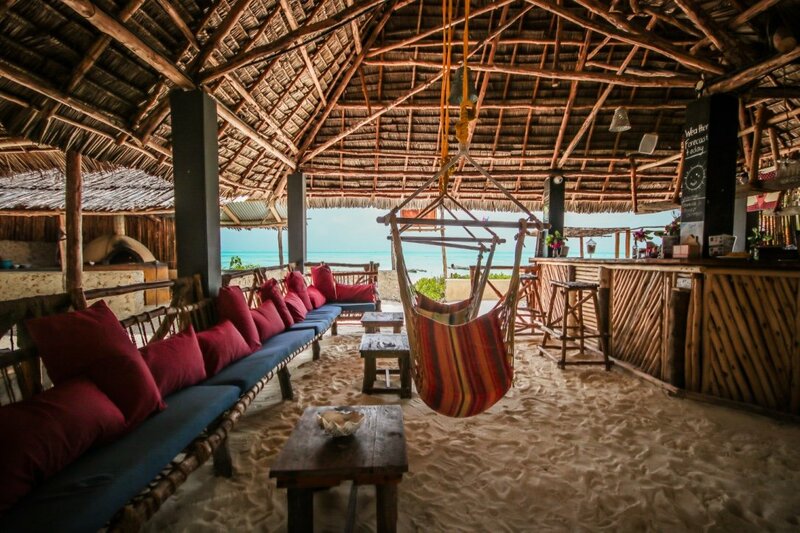 The location is perfect for those who like kite surfing, surfing, fishing, snorkeling amongst other activities. 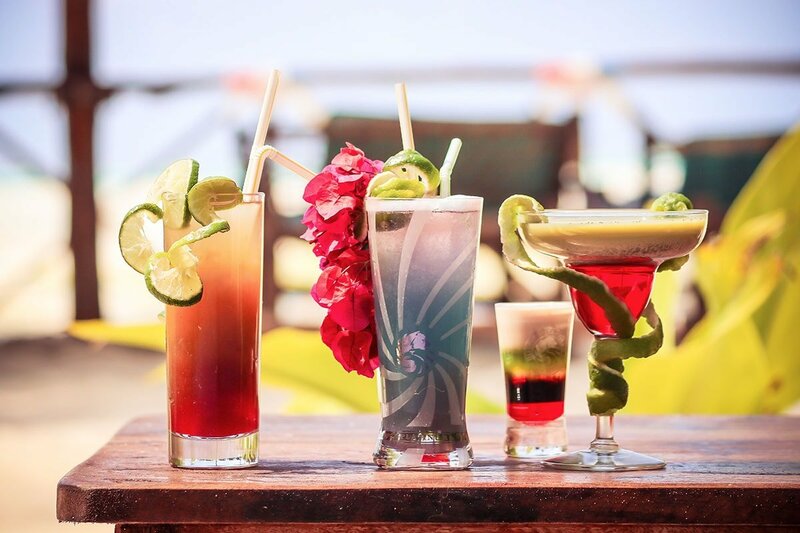 They have 2 locations within 150 meters of each other – the one with a large bar area and quite a buzz in the evening with the enigmatic and very friendly bar staff. 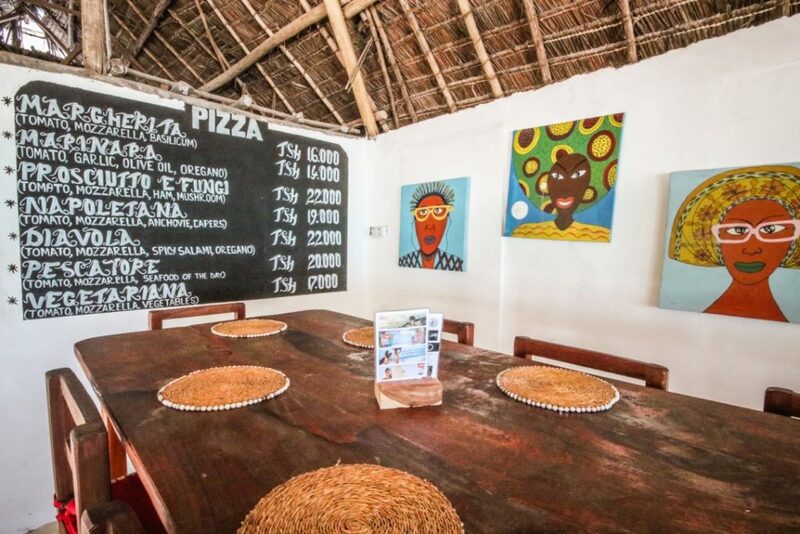 The other offers a more low key, tranquil experience and they serve up the best stone oven pizza I have had since Italy! Really a very well organized and maintained resort”. Our score 4.5/5 out of an average of 215 reviews on Tripadvisor. 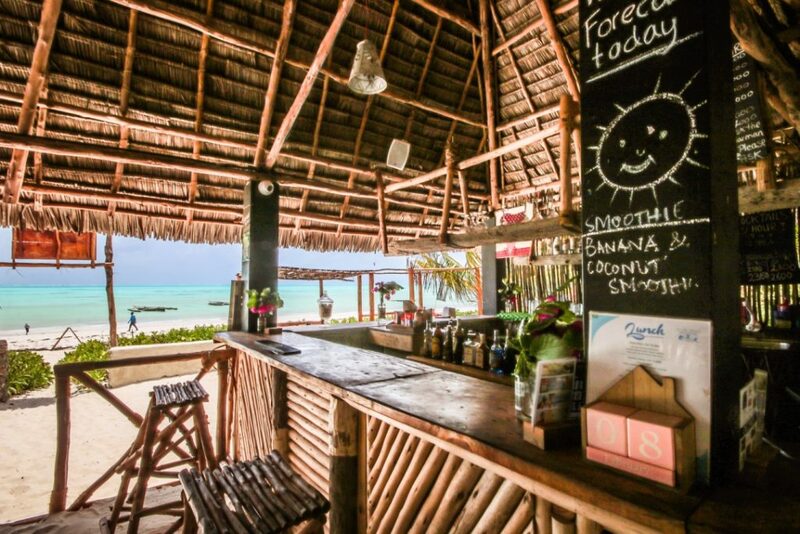 Blue Reef Sport & Fishing Lodge has been set up by Thomas Boer, Nicky Boontje and Nathan Boer, all Dutch citizens. The three of us share a passion for sports.